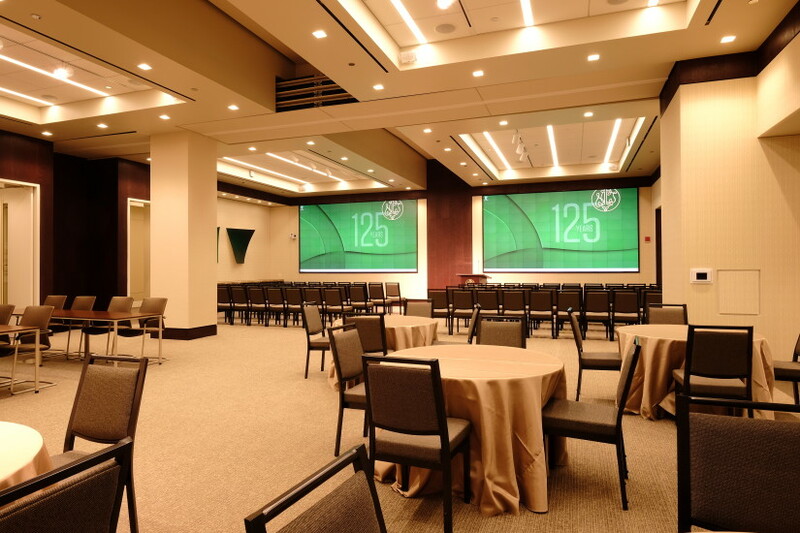 Northern Trust’s renovation of their Chicago space into the Corporate Lobby and Global Conference Center provided a premier facility to host investors and partners as well as receptions, educational seminars and guest talks. Part of the building faces the Chicago L, Chicago Transit Authority’s elevated tracks. Shen Milsom & Wilke acousticians provided solutions to mitigate the high noise levels created by passing trains. The audiovisual design included a four-way, divisible conference center. 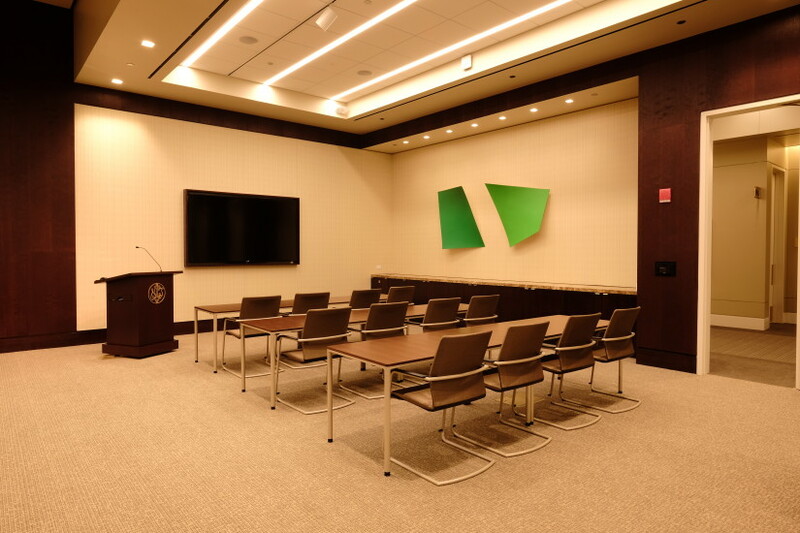 We equipped the space with two MicroTile display walls, which display high-resolution content without the need for projection systems or liquid crystal display (LCD) screens. The space also contains two 90-inch displays, a variety of wireless presentation devices and wireless digital microphones that allow audio and videoconferencing with remote attendees. 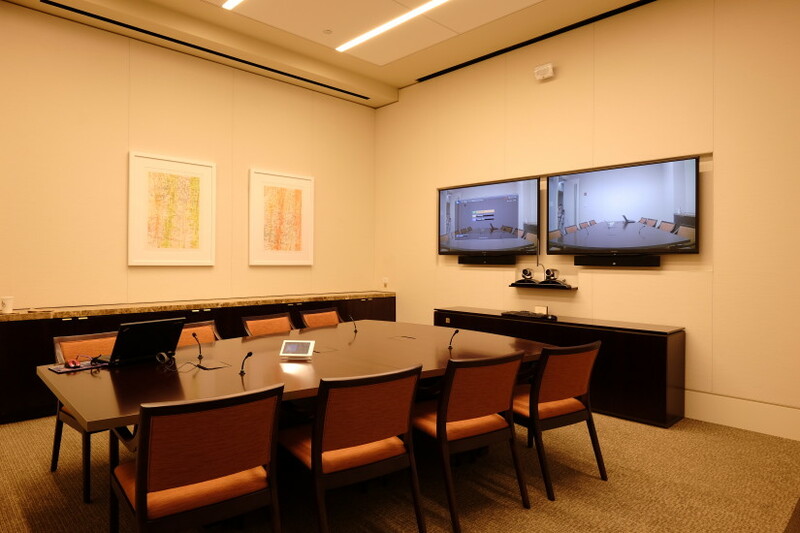 Because a number of perimeter conference rooms serve private meetings, they feature wireless presentation, audioconferencing and videoconferencing. Dedicated staff monitors and assists with event systems setup from a central control and equipment room. This allows flexibility for assigning shared resources and combining systems between rooms. Our audiovisual team also designed digital signage for lobby and reception spaces.